Resolution of Balance | Installation view | Resolution of Balance was a solo exhibition at the Kreft Art Center Gallery at Concordia University in Ann Arbor, Michigan. 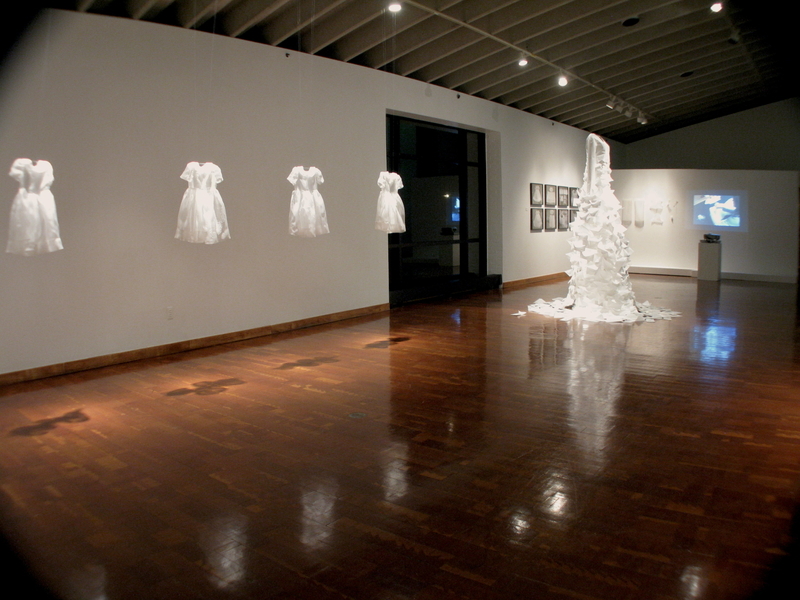 Highlighting several works Letters of Lineage, Disassembled Past (with video), mis-taken (four hand embroidered silk organza dresses) and Trace, Cut, Fold, Steam & Repeat. With all of the work white, this environment allowed for quiet focus on the different pieces.